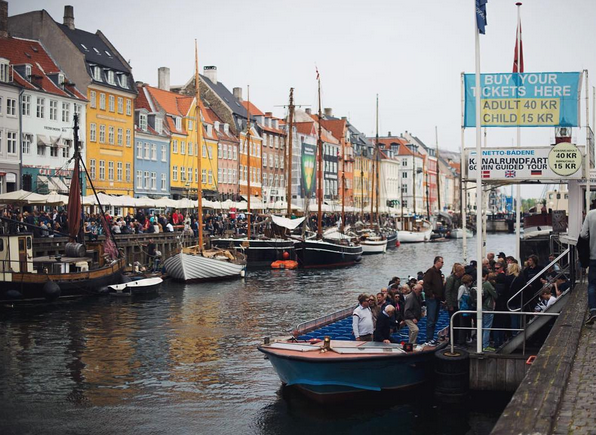 Back in the 10th century, Copenhagen was only a Viking fishing village. Now it is the capital city of Denmark and recognised as one of the most environmental friendly city in the wrorld. It is amazing to see that in 2025 Copenhagen aims to be carbon-neutral. District heating -for example- will be done by waste incineration and biomass. Cars will be run on electricity or biofuel in this year. It is already supported with 4 % of green energy contributed to a large offshore wind farm. It also aims to be smoke-free by this time and to serve 90% organic food in all daycares, schools and homes for older people. rnrnPublic Transport The airport of Copenhagen is well connected to the city centre by metro and main line railway services. Both run day and night and will run you into the city centre within 15 minutes. Unlimited public transport by a Copenhagen Card. Or find all the information you need on public transport here. Want to get out fast ? Take the ferry to Oslo - Norway. The weather is subject to relatively unstable conditions throughout the year. July to September you ll find a bit higher rainfall. And you ll probably find snow from December to early March. Most sun ? You ll enjoy that from March to August. When visiting Copenhagen the landmarks are: Landmarks Tivoli Gardens, The Little Mermaid statue, Amalienborg and Christiansborg palaces, Rosenborg Castle Garends, Frederiks Church. rnrnMovement and Fun Copenhagen is one of the most bicycle-friendly city in the world and can be crossed under an hour per bike! You can rent your bike here Fun to know is that Copenhagen has also beaches! Just few minutes by metro or 15 minutes by bycicle you find the Amager Strandpark, opened in 2005. It is a 2 km artificial island. The second is just about 10 km from downtown Copenhagen: Bellevue Beach - Klampenborg with freshwater showers and lifeguards. Copenhagen has a yearly Marathon, founded in 1980. The Marathon has more than 30% international runners and aims to grow this number in the coming years. rnrnFor 2018 the organisation aims to achieve the prestigious, international quality seal, the IAAF Road Race Bronze Label. Other fun activities is that you can swim in the harbour from the start of June to the end of August. At Fisketorvet, Havneholmen 0,1561 and Islands Brygge Havenbad, Islands Brugge 0, 2300 you can enjoy diving platforms and an Olympic size pool.